In the mid-1990’s, environmental regulators came up with a new concept to let markets and engineers figure out the best way to reduce pollution at the lowest cost possible. This was a regulatory mechanism called Cap and Trade. Cap and Trade will get further use with two new regulatory actions that will take effect in the U.S. in 2012. Both new rules will utilize Cap and Trade. This method is designed for flexibility in allowing the marketplace to determine the most efficient ways of meeting an emissions cap set by the regulator. Using the mandated cap to determine the amount of allowances, the regulator allocates allowances to emit regulated substances to various market participants who own power plants. These may be allocated for free, or they may be auctioned. At the end of a compliance period, power plant owners must submit a number of allowances equal to the amount of emissions they have put into the air during the period. Failure to do so results in significant fines or other penalties. To facilitate efficient solutions, market participants are permitted to trade allowances. 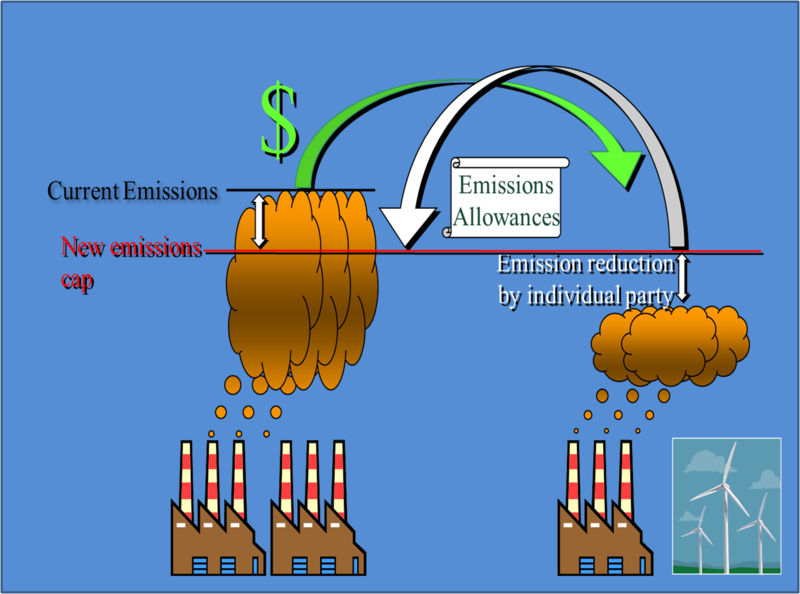 Thus participants that can cost-effectively reduce emissions can then trade unutilized allowances to other parties who have a higher cost of reducing emissions. This means that the market should be able to find the least-cost way of reducing emissions to a specific cap. This methodology has been used since 1995 for SO2 and more recently for NOx in certain regions of the U.S. In general it has proved successful in reducing emissions at low cost. During discussions about a national greenhouse gas law in the U.S. over the last few years, opponents from the right argued that Cap and Trade amounted to no more than a burdensome tax. Opponents from the left argued that it was too lenient in that it allowed parties to pay to pollute. As the new regulations implemented in 2012 play out, we will all get a further chance to evaluate the benefits and costs of Cap and Trade regulation. This entry was posted in Electricity and tagged Electricity Markets, Electricity Training, Emissions trading, Energy Education, Energy Regulation, Energy Training, Environmental Protection Agency, Greenhouse gas, Nitrogen Oxide, Sulfur Dioxide. Bookmark the permalink. 1 Response to What Is Cap and Trade?